After a cheap navy suit...no, don't worry, not after a magistrate's special from Asda, something which fits and looks a little better - but without breaking the bank. 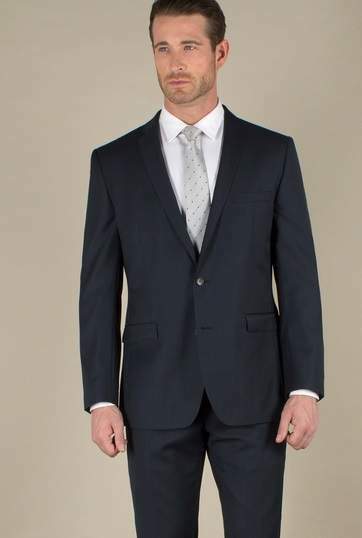 I do have a couple of "decent" suits, nice wool material and perfect fit, however after something for when businesswear is needed but the "good stuff" could become damaged etc. Weighing up a few offerings across BHS, River Island and Next - with RI and BHS naturally coming out a bit cheaper. Just wondering whether anybody here has anything good, or bad, to say about suits from any of these places? If your not particularly tall primark is good. Think there trousers are only regular. Next is always pretty good I find and machine washable. Did pop in to the local Primark this evening, however the only suit jackets I liked (1 navy, one a grey herringbone type pattern) they had jackets but no matching trousers. Nope, not particularly tall - regular trousers are spot on. 42R jacket, 36R trousers. I would say M&S ones are really good and look very smart. Try their outlet stores where you will be able to get a good one less than £60. Thanks for all of the feedback ladies and gents. As for sizing, looking for 42R Jacket and 36R Trousers really (Usually take 34 in jeans, but 36 in trousers - 34 trousers being too tight and 36 needing a belt, haha). 31 leg is the ideal, as 32 typically a bit long. Will give M&S and Matalan a good look - had a bad experience with some M&S shoes last year and replaced them with River Island ones which have worn a lot better - quite a fan of River Island stuff usually, but never shopped there for business stuff. Only thought of BHS as the stacking codes bring a 2 piece suit in at under £50 - although not much more than that at RI or M&S it seems. Ooh, a racing green sharkskin wool blend, navy suit - a snip surely at £78! Yes it's perhaps £20 more than I'd have spent elsewhere, but I'm thinking it's probably well worth it. Last quick browse around and then may have to click the button, as limited stock left. Ordered, with 5% Quidco too - so total will be just a shade under £75 when all said and done. Bit of a bargain, thanks bunny! My Racing Green suit turned up last night...fab service from the UK Mail driver on behalf of Debenhams, I was out at work when he tried to deliver so he called my mobile and arranged to deliver at 7pm last night. And the suit as brilliant, just what I was looking for. Perfect fit, nice cloth and a bargain price too.